Wrong. According to Beck, the uprising in Egypt, and Tunisia, was merely the first step in a Muslim takeover of the world. First Egypt, then the Middle East – and next, the U.S.A. Then we’ll have a global caliphate, a fundamentalist Muslim government, aided somehow by the American left. 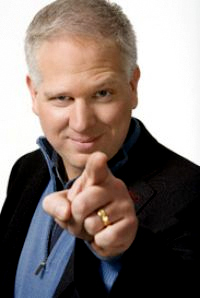 “It will come here,” Beck told Bill O’Reilly. “We are the last stop.” Yikes. It is dangerous and distracting to exploit fears about Muslim zealots at moments like these. We barely had time to digest Mubarak’s demise before nasty, scary stereotypes emerged. Republican Mike Huckabee said if the fundamentalist faction of the Muslim Brotherhood was “underneath” the protests, then “every person who breathes ought to be concerned.” Sarah Palin criticized Obama for not being tough enough with the Brotherhood. Tim Pawlenty said Obama should have more explicitly denied the Brotherhood political power. The subtext? The man Palin once accused of “palling around with terrorists” is up to his old tricks. Perhaps every person who breathes ought instead to worry about how we got things so wrong regarding Egypt. How could the White House have missed the signs of an immense, unstoppable wave of revolutionary democracy, driven by youth? We thought for so long that lack of economic and political power would only turn young Arabs into terrorists that we failed to see it might make them fight for democracy. We are right to be cautious about the Muslim Brotherhood, which is organized, coherent, favors strict sharia law – and has expressed anti-United States and anti-Israel views. But this revolution was not started or driven by the group, though its members joined it and will exploit it. There is no way to predict what will happen in the next six months before the election. But there are several reasons not to panic. First, a recent poll by the Washington Institute for Far East Policy found only 15 percent of Egyptians approved of the Muslim Brotherhood, and only 1 percent would support one of its candidates in the presidential election (the Brotherhood has said it will not field a candidate, though in 2005 it won 20 percent of parliament seats). Second, this march was about corruption, low wages, unemployment, poverty, and human dignity, not religion. Only 7 percent of those polled said they were protesting because “the regime is not Islamic enough.” No rising global jihad here. Third, in a recent Pew Global Attitudes survey, 70 percent of Egyptians said they were concerned about Islamic extremism globally; 61 percent were worried about it in their own country. If we are to lend weight to the forces of moderation, tolerance, and liberal secularism, we must not let partisan politics warp our worldview. We were blind to much of the unrest regarding Mubarak because we wanted stability in the region. The Egyptians want something else. Now only 36 percent of Egyptians think they need good relations with the United States. Alarmist stereotypes will only ensure we fail to understand countries different from our own. Turkey and Indonesia are not perfect, but they show open government can work in large Muslim-majority nations. After all, we have just seen millions march, and many die, in the streets of Egypt for dignity, freedom, jobs – and what defines this country and this city: democracy.